Calculate exact time anywhere in the world across time zones online. Use the world clock to see the current time around the world. Mobile web app has limited functionality, please use this app on desktop. With Time Zone Converter you can calculate conference call time with remote client, team or oversea friends. Use it for meeting and webinar time planning. For game coordination. And it is perfect for travel planning of course! 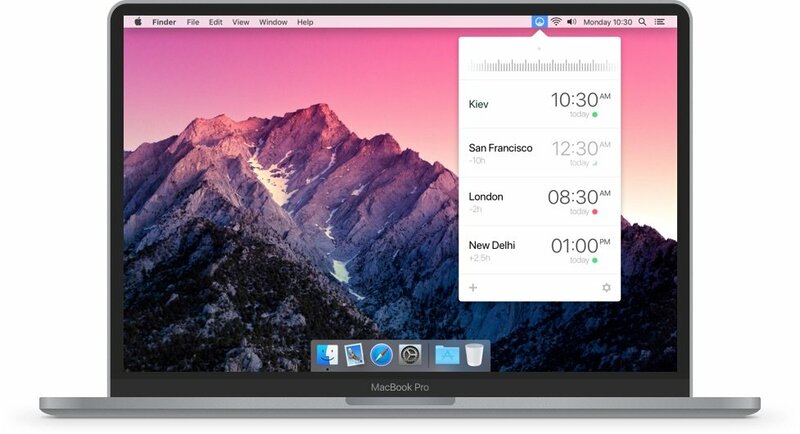 Time Zone Converter for macOS is the menu bar application. Now the most convenient time converter and world clock is only one click away from you! Time Zone Converter is available as iPhone app. Now you can take the most handy time converter and world clock with you where ever you go! Time Zone Converter for Windows 10 is the desktop application. Use the most convenient time converter and world clock in windowed or tablet mode. Time Zone Converter is available for Android smartphone and Android tablet. Now best time converter is available for most popular mobile OS!